Clifford Joseph Harris Jr. or T.I. 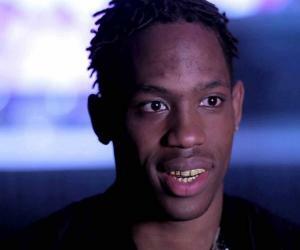 is an American rapper, record producer and an actor. 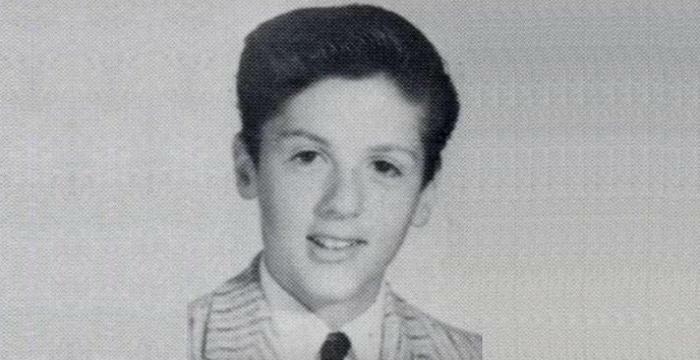 This biography profiles his childhood, life, career, achievements, and gives some fun facts. Also Known As: Clifford Joseph Harris Jr.
Clifford Joseph Harris Jr. or T.I. is an American rapper, record producer and an actor famous for his contribution to the rap music after he introduced Trap as a new rap music form and gained mammoth popularity. Harris signed his very first record deal in 1999 with LaFace Records and hasn’t looked back ever since. He constantly churned out great music and eventually started getting compared to the legendary contemporary rapper, Jay Z. Along with his fellow Atlanta rappers, Harris formed a group named ‘Pimp Squad Click’ and started his very own record label ‘Grand Hustle Records’. Harris has released 9 studio albums and seven among them have featured in the top five of the US Billboard 200. Apart from that, his singles in collaboration with other rappers have also helped him achieve a cult status among the rap music fans. Out of all, his collaborative efforts with Lil Wayne have proved to be the biggest hits of his career. He received the gold certificate for his sixth studio album in 2008 titled ‘Paper Trail’ and is the recipient of three Grammy awards in different categories. 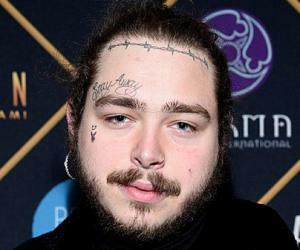 However, despite all the fame and success, life hasn’t been quite a cakewalk for the rapper as he could be termed as ‘controversy’s favourite child’. But despite all the hardships, Harris continues to grow as an artist and has also appeared as an actor in a few movies and published two novels. Clifford Joseph Harris Jr. was born in Atlanta, Georgia on 25th September 1980 to Violeta Morgan and Clifford Harris. Junior was raised mostly by his grandmother in the Centre Hill neighbourhood of Atlanta while his parents stayed back in New York for professional reasons. Some years later, his father died of Alzheimer’s diseases and Harris received a shock that would haunt him for years to come. At the age of 8, T.I. explored the world of rapping and started writing his own lyrics. He dropped out of Douglass High School and indulged in drugs in early teenage, an addiction which would not leave him for decades after that. He was such a troublesome little boy that by the time he turned 14, he had been jailed several times. 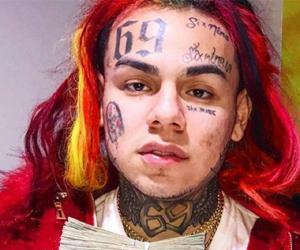 But his love for rap music kept him strong through the rough times and by the time he turned 16, he started creating mixtapes with the help of his buddies and would sell them through his car trunks. Eventually, his talent was recognized and Ghet-O-Vision records signed him up and the professional career of T.I. got a head start. Arista records released T.I.’s debut album ‘I’m Serious’ in 2001 and the album opened to some rave reviews but was a moderate commercial success. The album reached the top 30 of the Billboard top R &B and Hip-Hop chart. However moderate the success was, T.I. blamed the failure on the record label and went on to establish his very own record label by the name ‘Grand Hustle Records’. His very first venture under his newly found company was an underground CD by the name ‘In Da Streets’. It sold about 20,000 copies in the first week. However, the greatest publicity he got was due to his appearance in Bone Crusher’s superhit single ‘Never Scared’ and that opened up new avenues for T.I. in the extremely competitive American rap music scene at that time. ‘Trap Muzik’ was his second effort at a studio album and T.I. managed to hit the bull’s eye this time around. The album opened to a monstrous response and debuted on the 4th spot in the Billboard 200 chart. This was the first time for T.I. to get a platinum certificate from RIAA. Some tracks from the album such as ‘Rubber Band Man’ and ‘Lets Get Away’ received particularly great reaction and T.I.’s fame increased immensely and made him one of the most successful Southern musicians in that year. The storming success of his second album boosted his confidence and he planned his next steps carefully. He got into collaboration with prolific rappers such as Neelie, Lil Wayne and B.G. and simultaneously worked on his next musical project, his third album titled ‘Urban Legend’. All his hard work paid him really well as his album debuted at the top spot in the Billboard R&B Hip-Hop and got off to a magnificent start. The album secured seventh rank on the Billboard 200 and sold over 1 million copies in the U.S alone in the first week of its release. The album became the fastest selling rap album by any southern artist and several hits from the album such as ‘You Dont Know Me’ and ‘ASAP’ topped many of that year’s music charts. The success of his third album got T.I. 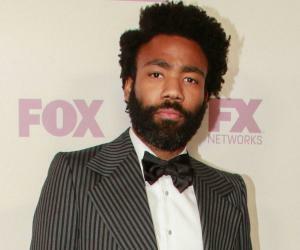 several nominations in the awards seasons; most notable among them was the Grammy award for the best solo performance in Rap. 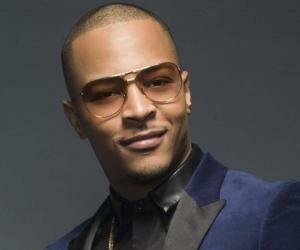 In 2006, he marked his entry in Hollywood with Warner Bros. Film’s ‘ATL’ and while at it, T.I. kept appearing in several successful collaborations and eventually nicknamed himself as King of South. His next studio album was ‘King’ which got released in March 2006 and went a few steps further than his last one after securing the top spot in Billboard 200 chart and sold more than half a million copies in the USA in the first week of its launch. T.I. also appeared in a movie in 2007 titled ‘American Gangster’ and his performance received critical praise. The same year, T.I. 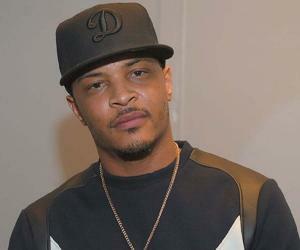 released his fifth studio album titled ‘T.I vs TIP’, which he says, is his most conceptual work ever. In the same year, he fell in trouble with law over the possession of illegal arms and was put under house arrest. He released ‘Paper Trail’ in 2008, his most emotional album till date and like its predecessor, it debuted on the top spot in the Billboard 200 and sold more than 550000 copies, making it the most successful of T.I.’s album to date. He received four Grammy nominations and ended up winning ‘the best performance in a rap song by a duo’ for ‘Swagga like us’. He couldn’t carry on the success to his seventh studio album, which released in 2010 and debuted on the 4th spot in the Billboard 200 chart. Titled ‘King Uncaged’, the album earned him two awards at Grammies. His next two ventures ‘Trouble Man: Heavy in the head’ and ‘Urban Legend’ met with critical acclaim but failed to reconstruct the magic of his previous efforts. In between that, his Extended Plays and mixtapes continued to keep him in the limelight and he rose to become one of the most prolific rappers from the South. Apart from rapping, T.I. has also been quite active as an actor and a novelist. He has starred in ‘Ant-Man’, ‘American Gangster’, ‘Takers’, ‘Get Hard’ and ‘Identity Thief’. His novels have also been moderately successful. Titled ‘Power and Beauty’ and ‘Trouble and Triumph’, his novels are motivational in their themes and strong in language. He had a long relationship with Tameka Cottle and they got married in 2010; the couple has two sons and a daughter from this union. Unfortunately, their marriage lasted six years and in 2016, Tameka filed for a divorce. T.I. has three more children from his previous relationships. Apart from drug addiction, T.I. has also been known for his feuds with fellow rappers. He got involved into disputes with Shawty, Lil’ Flip and Ludacris. Another controversy came his way when he made some sexist remarks about Presidential candidate Hillary Clinton during the heat of the presidential elections for which he received a lot of flak. T.I. donates quite a lot of his money annually to NGOs and charities. When he started his career, he had the stage name ‘Tip’ but he changed it to pay his respect to one of his mates Q-Tip. As of June 2017, T.I’s net worth is estimated to be USD 50 Million.